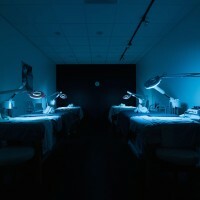 Emphasizing makeup and medical esthetics. Our esthetics beauty school program teaches you the latest techniques to purify, balance and renew the skin, as well as the artistry of make-up application. 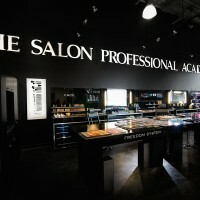 We’re proud to be offering a curriculum infused with the latest technical training from the industry leader in skincare. Or call the admissions office directly at 408-784-4463 or send us an email. Receive hands-on training with innovative and advanced, Dermalogica-infused curriculum such as Facials, Waxing, Microdermabrasion, Chemical Peels, Make Up Artistry and Eyebrow Beautification. Practice and fine-tune your skills in a premium spa environment using professional hair care products from Dermalogica and PCA Skin Care lines. Check out our cosmetology program and makeup class as well! 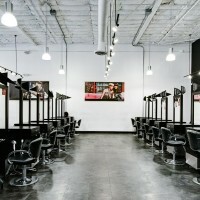 BRAZILIAN BLOWOUT DEAL $190 ($300-$500 in Salon) BRAZILIAN BLOWOUT IS THE ONLY SMOOTHING TREATMENT ASKED FOR BY NAME. Through the use of breakthrough bonding technologies, these customizable smoothing treatments actually improve the condition of the hair by creating a protective protein layer around the hair shaft to eliminate frizz and smooth the cuticle. What makes our professional smoothing treatments different? CUSTOMIZABLE - keep and define your curls OR go for a sleek and smooth look. GREAT FOR ALL HAIR TYPES - wavy, straight, curly or coily? If you’ve got frizz, we’ve got you covered! NO WAITING PERIOD - the minute you leave the salon you can immediately wash your hair, exercise, put it in a pony tail or clip without having to wait days to do so. FINISHED TIME- in 1-3 hours you get smooth, frizz-free hair for up to 12 weeks. NO LINE OF DEMARCATION WITH NEW HAIR GROWTH - great for transitioning from Japanese straighteners, relaxers or keratin treatments. The end result is smooth, frizz-free hair with radiant shine! ~FREQUENTLY ASKED QUESTIONS~ Q. WHO IS THE BEST CANDIDATE FOR THE BRAZILIAN BLOWOUT? A. It has been our experience, that good candidates for the Brazilian Blowout are anyone who has frizzy, damaged or processed hair. We have performed the treatment on every hair type (fine/course/frizzy/curly), as well as hair that has been permed, Japanese straightened and extensions. In doing so, we have found that with proper communication and a well considered application, everyone can benefit from the Brazilian Blowout smoothing treatment. Q. WHAT KIND OF LOOK WILL YOU GET FROM THE BRAZILIAN BLOWOUT? A. The hair will be left totally frizz-free, shiny, effortlessly manageable and with plenty of body and bounce. There will still be the option to wear hair curly/wavy (depending on the hair type) and the freedom to blow dry hair smooth and straight in a fraction of the time invested prior to receiving the treatment. Q. CAN I STILL RECEIVE A BRAZILIAN BLOWOUT IF I HAVE HIGHLIGHTS AND/OR COLOR? A. Yes, the Brazilian Blowout will actually improve the health of color-treated/highlighted hair by conditioning the hair while sealing the cuticle for smooth hair.